Copyright © Russ Rizzo & Cal Neva Mineral Company - This image is copyrighted. Unauthorized reproduction prohibited. 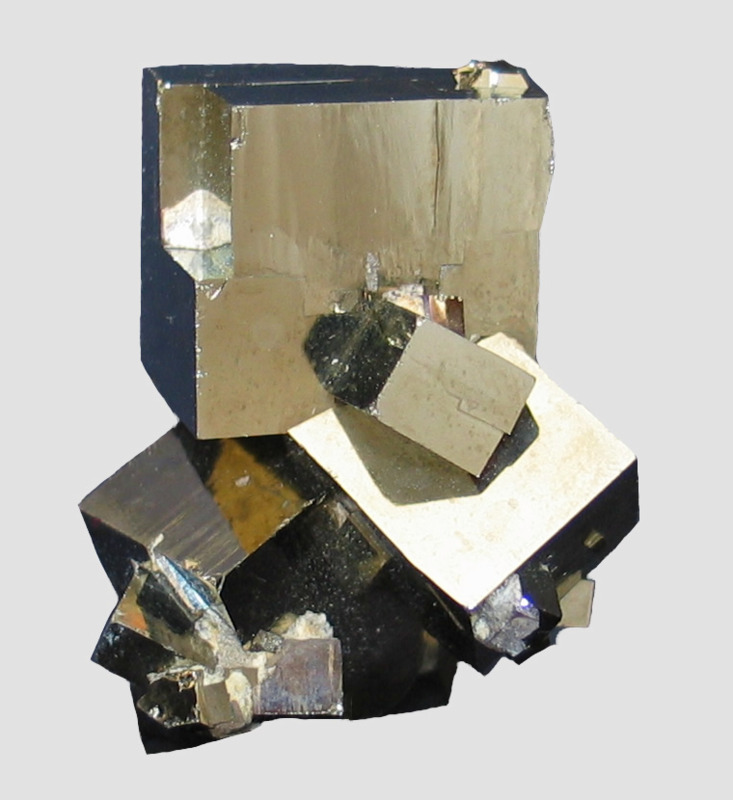 An aesthetic stacked cluster of very lustrous Pyrite crystals.